As October is coming near, the rumors have already started surfacing up, and we have started to get a picture of the Apple iPhone 5, expected to be launched in October, later this year. The news report revealed today gives us an approximate idea of the launch event, which surprisingly will be help in Apple Campus this year, not considering San Francisco this time. Apple’s iPhone 5 event on October 4 will take place at the company’s Cupertino campus, not in San Francisco where the all the previous iPhones and iPads have been announced. Apple will be seen launching a product in its own Campus, rather than going for San Francisco like always. The event is reported to be held at Apple Campus- Infinite Loop, Cupertino, California. Historically, Apple has held its big product demonstrations in San Francisco. The iPad and iPad 2 where unveiled there, as were all iterations of the iPhone to date. This year things are going to be different. This year, Apple’s holding its big iPhone media event closer to home. Sources close to the company say the demonstration — currently scheduled for Tuesday October 4, a date first reported by AllThingsD — will be held at Apple’s campus in Cupertino, California. Details about the event like who will present the keynote this time, and what all will be announced is still in question. We are keeping a strict eye on recent reports until things become official from Apple’s side. 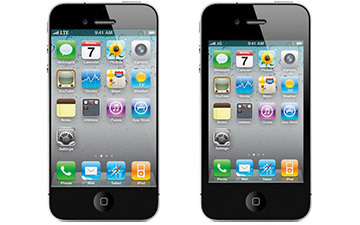 While in the past, there have been speculations on how many iPhone’s would be announced- a low priced iPhone 4 or new iPhone 5, but things are still unclear about the products to be launched on October 4 ’2011. Well..The rumored ‘BIG’ day is just 8-days away now, and we are really excited about the products Apple is going to unveil this time.